To Pray For Priests This Year? 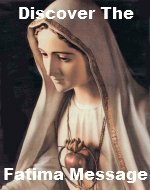 The Year for Priests Support Community is designed to support, encourage and motivate you to pray a Rosary for priests during the Year for Priests. I would encourage everyone to share what makes those important priests in your life so special. When I had a sick newborn baby in the hospital, Fr. David Young of St. Andrews came to the hospital to baptize my baby. He was on "vacation" at the time but he was there as soon as I needed him. And I wasn't even a registered parishioner at his parish! I am committing to pray nine consecutive Rosaries for him. I use the Personal Rosary Tracker notes section to write the priests name and the number of Rosaries I am going to pray for him. Fr. David Young - 9 Rosaries. I use the boxes on the adjoining page to mark off nine Rosaries, then I cross his name off the list and move onto my next priest. Three new priests were ordained into the Priestly Fraternity of Saint Peter this year. I want to offer them up for adoption. They are: Fr. Brian Austin, FSSP; Fr. Matthew Goddard, FSSP and Fr. Michael Stinson, FSSP. Please consider "adopting" one or all of them and let the world know how many Rosaries you are going to pray for them. It is your turn. I want to hear your stories. Please share them here in our Year for Priests Support Community. When have you been inspired by a priest's devotion to your family? "Who are you presenting for adoption"? 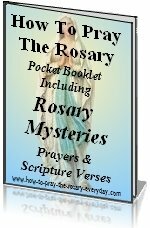 Do you find the Personal Rosary Tracker useful? Do you know a loyal priest who has contributed greatly to your family's spiritual life? Join our Year for Priests Support Community and share why he is important to you and tell the amount of Rosaries you commit to praying for him. You are also encouraged to recommend a priest for "adoption". Be sure to give a little biography of him. And if you are "adopting" a priest please let others know. If you are using our Personal Rosary Tracker, we would love to hear how you are using it and give any tips or ideas on how others can use it.